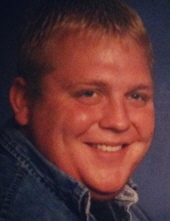 Jason J. Graham, 44, of Lincoln, passed away Friday, November 9, 2018. Born to John and Cynthia (Wood) Graham on April 17, 1974 in Lincoln, Nebraska. Jason was a loving father, son, and friend. He touched numerous lives, was known to be the life of the party, and lived life to the fullest. He enjoyed driving, and was an avid Husker fan. He is preceded in death by his father; John Graham, and infant daughter; Gabriella. He is survived by his son; Trevor Graham, mother; Cynthia Graham, siblings; Lisa (Stuart) Gorton, Micki Beahr, Melissa (Chris) Rappl, Brian (Jen) Graham, Monica (Shawn) Bowers, nieces and nephews; Marissa, Jake, Jack, Brad, Kara, Amber, Colin, Alexis, Maddie, Libby, Emily, Sophia, Isabella, Hunter, Trinity. Since Jason was such a Husker fan, please dress in Red, or husker apparel. Jason would have loved that so much. To send flowers or a remembrance gift to the family of Jason J Graham, please visit our Tribute Store. "Email Address" would like to share the life celebration of Jason J Graham. Click on the "link" to go to share a favorite memory or leave a condolence message for the family.